What If My Injury Causes Permanent Disability? Obviously, the best case scenario is where an on-the-job injury never occurs and an occupational disease never develops. Perhaps just as obvious is the hope that an injury or occupational disease or illness that occurs is minor and recovery is complete, quick and results in no ongoing, permanent impairment or disability. Unfortunately, many injuries result in permanent impairment and loss of bodily function, whether to a greater or lesser degree. 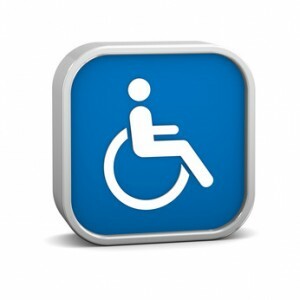 Permanent disability may be partial or total depending upon many factors. The severity of the injury impacts the percentage of permanent impairment that can result. So too, an injured worker’s age, education and work-experience may combine with the injury itself to result in such significant limitations that a person is, either sooner or later, permanently removed from the workforce. How does the workers’ compensation system handle injuries resulting in permanent disability? Several forms of compensation may be available depending upon the degree of the permanent impairment. Even if an employee can return to his/her former position of employment following a work injury, s/he may experience loss of function because of the injury. Ohio law permits compensation for permanent partial disability resulting from an on the job injury. This is somewhat akin to a damages award in a personal injury case, although awards are based solely on physical and/or psychological impairment resulting from the work injury. No consideration is given to so-called “pain and suffering”. Vocational rehabilitation can be authorized if the injury results in an inability to return to the former job without modifications or permanently. The Ohio Bureau of Workers’ Compensation, the Ohio Bureau of Vocational Rehabilitation and third-party rehabilitation providers can work with the injured worker and with employers to provide job modifications, retraining and assistance with job search if an injury prohibits a return to the former job. An injury that results in the need to change jobs, either with the existing employer or to a new employer, may cause a reduction in wages. The new position within the injured worker’s restrictions, either with the existing employer or a new employer, may not pay as much as did the former position of employment. Ohio authorizes the payment of compensation for such wage loss during the search for new employment and/or while the injured worker is settling in to the new job. Compensation is also payable during participation in a rehabilitation program. For the injuries that result in permanent inability to work, permanent total disability (PTD) compensation is available. Unlike social security disability benefits (which may be paid concurrently with PTD benefits) that end when retirement age is reached, PTD compensation, if granted, is paid until the injured worker dies or actually recovers to the point of returning to work. To be found permanently and totally disabled, an on-the-job injury or occupational disease must cause an inability to engage in sustained remunerative employment (sometimes known as “substantial gainful activity”).